If Google and Asus announce a new Nexus 7 this month, it will ultimately mean a gigantic mess for Apple. Why you ask? It puts certain Apple products way overpriced compared to what you can walk away with a Nexus 7 for. First off, the Nexus 7 is a very nice device and it does what you'd want by functioning as a daily tablet; it's fast enough to play mobile games, watch videos, surf the web, launch apps and does so in a capable ecosystem. I still think the Apple ecosystem is better, and Android may get to the level eventually, but its just not there yet. I feel Jellybean is a good enough OS over previous versions that I would feel comfortable handing that to any technology-challenged relative to use with ease. When combined with the specs its "good enough," but when you consider the pricing, the Nexus 7 is a solid buy. So if the rumors of a 32GB version of the Nexus 7 at a price comparable or cheaper than the existing 16 GB model are true, this complicates Apple's product line drastically. Lets say the 32 GB Nexus 7 sells for $249, compare that to a $299 32 GB iPod touch. Sure the iPod touch comes with headphones, a rear facing camera, a revolutionary loop and a 4-inch display vs. a 7-inch Nexus 7 display (you may prefer a smaller screen or a larger screen) but how will they compare to most consumers? So how does Apple compete against a $249 7-inch, 32 GB tablet and a iPad Mini without pricing out its own iPod touch? The company will try and come close to a $350 price point and try to point out the value of the iPod touch (convenient form factor, camera use, Nike+ support), but it will be a hard sell, one I believe that in the long run may result in the end of the iPod Touch. With the iPod nano having received a facelift and bigger body, bundled with (some) apps and larger display, this might serve as hint to an eventual usurpation of its larger iPod sibling in the near future. 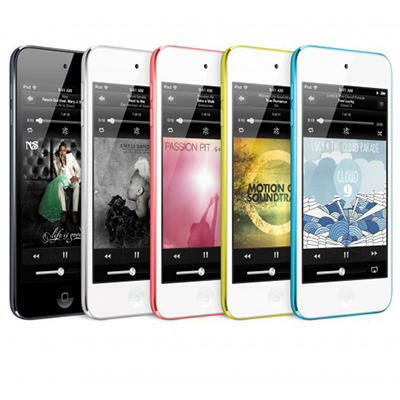 The additional color offerings for the iPod Touch may also be a small hint towards what may eventually occur with iPod product lines. Apple has blended/altered/renamed entire product lines before for the sake of better branding and to make way for new platforms, think the Mac line (e.g., MacBook Pros, iMac, eMac). Apple took the stance a while ago that a smaller iPad was out of the picture, but most rumors appear to negate that statement. Looks like any preconceived ideas of what Apple may do based on past statements are gone with the rise of Tim Cook to the CEO seat. One concept that remains is Apple is not afraid to cannibalize its own sales. So, why didn't Apple jump on the smaller iPad sooner? As Steve Wozniak would elude to, its stubbornness. It would be an even greater mistake if Apple didn't build a 7-inch iPad, they just should have done it sooner. What may happen, though as a long shot, is a product convergence of the iPod nano and the iPod Touch, when the market adjusts to accommodate the iPad Mini taking the place of where the Touch currently holds the market share. Why would the market adjust? The same way the iPhone launched a market for smartphones. A device at a specific price point that brings features of a device that exist in different form or available through the use of multiple devices, in the iPhone's case it was a $200-$400 device that delivered a smartphone, web browsing, email, apps, camera and media player in one device and even more under impactful: under one ecosystem. In the case of the 7-inch tablet world, the price point now looks to be around $200, give or take $50 to accommodate for varying specifications. So this leaves very little room for an iPod touch, at least in its current form. The $300-400 price point is too much and thus needs to be knocked down to half the price, a price point that sits very comfortably within range of the current iPod nano line. I'm not saying the iPod touch is not a great device and is worth every penny of its retail price, the strap alone has to be worth $90, but rather the electronics industry has trained consumers that $200 is a reasonable, justified price point for a small/tablet. You get more for your money, this ultimately means better results for consumers. So don't be surprised if you see a significantly better spec'd iPod nano or a dumbed down, but cheaper, iPod touch in a year's time. As much as the iPod, iPhone or iPad were disruptive products in their respective industries, a cheaper Nexus 7 and a new iPad Mini will send shockwaves that will impact the rest of the industry, especially Apple's product line. As a reminder, this article was written from pure speculation based on industry analysis.